The essence of development administration is to bring about change through integrated, organised and properly directed governmental action. In the recent past the governments in most of the developing nations have shifted their focus on development by means of planned change and people’s participation. With this shift of administrative concern towards developmental objectives the researchers and practitioners of Public Administration have been forced to conceptualise the developmental situation and to bridge the gaps in administrative theory. The growing welfare functions of the government have brought into limelight the limitations of the traditional theory of administration. The essence of administration in the present conditions lies in its capacity to bring about change in the structure and behaviour of different administrative institutions, to develop an acceptance for the change and to create a system which can sustain change and improve the capacity of institutions to change. All this calls for renewed efforts on the part of institutions engaged in the tasks of development. Thus development administration as an area of study and as means to realise developmental goals assumes importance. There is no uniform definition of development administration which is agreeable to all. But we can atleast arrive at certain basic features and characteristics of order to understand the concept of development administration, we should try to understand the meaning of the concept viz., administration of development and development of administration. Development is integral to the aims and activities of the government especially in the developing countries. Because of paucity of resources, human and material in their counties, the need for making optimum utilisation of available means and augmenting new means assumes a great importance. Development administration thus becomes a means through which the government brings quantitative and qualitative changes in an economy. Government is engaged in not only fixing priorities but also making efforts to realise them. Hence, we can say that development administration is an effort towards planned transformation of the economy involving not only the sphere of administration but also formulation of policies and indeed the society as a whole. It is an effort at the synchronisation of changes in all spheres of development-economic, political, social and cultural. Thus development is not only viewed in terms of growth process, but it includes a process of social change. It concentrates on the needs and desires of the people and concerned with formulation of plans, programmes, policies and projects and their implementation. It plays a central role in carrying out planned change i.e. it is concerned with planning, co-ordination, control, monitoring and evaluation of plans and programmes. It is not only concerned with the application of policies as determined by the political representatives in existing situation but also with introducing efforts to modify existing situations so as to serve the cause of the masses. The capacity of an administrative system to take decisions in order to meet the ever increasing demands coming from the environment and with the objective of achieving larger political and socioeconomic goals. Increase in size, in specialisation and division of tasks and in the professionalisation’of its personnel. A pattern of increasing effectiveness in the optimum utilisation of available means and further augmentation of the means, if necessary. Increase in administrative capability and capacity. Replacement bf initiative, practices etc. with those based on realistic needs. Reducing the dependence on foreign experts by producing adequate trained manpower. Removing or reducing bureaucratic immobility and widespread corruption. Reorientation of established agencies, and the delegation of administrative powers to them. Creation of administrators who can provide leadership in stimulating and supporting programmes of social and economic improvement. Change- Orientation: The first and foremost element of development administration is its change orientation. Change forms part of philosophic values of development administration. Development administration involves itself in establishing a new social order in which growth and distributive justice coexist. For Pai Panandikar the central theme of development administration is socioeconomic and political change. Development administration cannot be status-quo oriented. No development can take place unless and until it introduces certain positive changes in a system. Changes such as structural reorganisation of administration, innovative programme to increase production, remove unemployment, poverty etc., new schemes to improve employer-employee relations must form a part, of development administration. Goal- Orientation: Developing countries are facing the problems of poverty, squalor, injustice, unequal distribution of wealth, lopsided agricultural growth, underdeveloped technology etc. These colossal issues need to be tackled systematically by fixation of priorities and goals. Development administration is the means through which the goals of development viz., social justice, modernisation, industrialisation and economic growth can be achieved. Innovative Administration: Development administration focuses on replacing/ improving the existing governing structures and norms with the ones that suit the changing political and social environment. In other words, Development Administration is one that is dynamic and progressive in thought and action. It is interested in identifying and applying new structures, methods, procedures, techniques, policies, planning projects and programmes so that the objectives and goals of development are achieved with minimum possible resources and time. India, for example, has experimented with many new institutions and procedures which can be termed as the hallmarks of development administration. We have introduced various development programmes like IRDP (Integrated Rural Development Programme), TRYSEM (Training Rural Youth for Self Employment), NREP (National Rural Employment Programme), DWACRA (Development of Women and Children in Rural Areas), Tribal Development Programmes etc. These pragrammes broadly aim at removal of unemployment, creation of job opportunities and reduction of poverty. We have also established some development agencies like the District Rural Development Agency, District Planning Cells, State Planning Boards, Co-operatives etc. Thus development administration has to be innovative enough in order to realise the pre-determined objectives of development. In fact, innovative and creative administration leads to speedy realisation of goals. Client-Oriented Administration: Development administration is positively oriented towards meeting the needs of the specific target groups, like small and marginal farmers of landless agricultural labourers and rural artisans in India. The socio-cultural and politico-economic progress of these sections forms the essential basis of performance appraisal of development administrators. Many target group centered or beneficiary-group oriented organisations have to be created so as to provide these under-privileged sections the requisite goods and services. 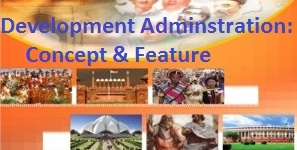 It has been suggested that development administration is ‘people-oriented’ administration which gives priority to the needs of its beneficiaries by preparing, reviewing and, if necessary, changing the programmes, policies and activities aimed at the satisfaction of the needs of people in question. The administration is involved in the betterment of the lot of the deprived and the weak. Their upliftment becomes a part of the whole administrative ethos. The welfare of the weaker sections is a part of the administrative value.The members of any development organisation are highly motivated and committed to a progressive philosophy aiming at cutting the roots of vested interests in the society. ‘This is possible if the people of initiative, extra-dedication and perseverance are inducted into the development administrative structures. Training of personnel can be one effective method of creating such a team. Development administrators should not just formulate plans for the people but even monitor them in such a way that the beneficiaries are actually benefited. Participation-Oriented Administration: Development administration accepts for its purposes the principle of associative and participative system of administration. Here, people are not treated as mere passive recipients of benefits or goods and services. They are taken as active participants in the formulation and execution of development plans, policies and programmes. It is recognised that centralised administration will not only be unable to take cognisance of local problems in a realistic frame, but it would also be deprived of the use of local initiatives, energies and resources. Hence, effective formulation of programmes and their implementation with the help and association of the local people is now a well recognised principle of administration. It involves giving people an increasing share in the governance and management of developmental affairs of the government. That is why the involvement of Panchayati Raj institutions in planning and administration has found renewed support in the development strategy of India. Effective Co-ordination: Since development implies increasing specialisation and professionalisation, the number of agencies and organisations involved in development tasks has considerably gone up. In order to have the maximum benefit of this emergent administrative system, co-ordination between various administrative units and activities is essential. To achieve maximum results, wastage of resources, time and cost has to be avoided. Development .administration has to co-ordinate the activities of development agencies and organisations to integrate their efforts and energies for the realisation of development goals. This would even save the administration from the problems of duplication of functions, neglect of important functions and unnecessary focus on irrelevant or marginally relevant activities. It would thus minimise administrative lag. Ecological Perspective: Development administration shapes the environment-political, social and economic and also gets affected by it in turn. It is not a closed system. It receives a feedback from the social system and responds to the demands put on it by the system. In a way, development administration is related to the environment and involves close interaction between the administration and environment. The environment sets forth the operative parameters of development administration. It requires the qualities of flexibility* and responsiveness in administrative actions and methods. The changes in administration affect its environment and changes in environment also has its bearing on administration. As we know that, development administration is a process of action motivated by and oriented to the achievement of progressive goals of development. It aims at creating and/or mobilising the will and skills to utilise in an optimum manner the resources of the country leading to the realisation of development objectives. Thus development administration is a process of planned change. The administration is being studied now a days in the contextual perspective. Comparative analysis of the administrative system in terms of organisation, administration and development management brings out two distinct elements of ‘ administration : (1) Administrative reforms are improvements that each nation has been trying so as to match administration with development needs and (2) Concentration of efforts at acceleration of rate of growth and change so as to meet the challenges of socio-political development and nation-building effectively. It is in this context that the concept of development administration has come to be used. 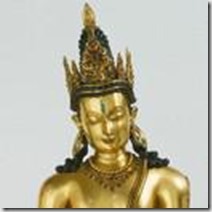 However, the concept has varied dimensions-social, cultural, economic and political. The issue regarding the focus or scope of development administration as a discipline and as a process has assumed importance. Thus in this article, we shall try to discuss the concept and features of development administration. Tags: Administration of Development, Concept of Development Adminstration, Concerns of Administrative Development, development administration concept, development administration in developing countries, Features of Development Administration, meaning of development administration, Objectives of Administration of development, What is development administration?